Alt-pop band lovelytheband announces today their celebrity mentorship and performance on ABC’s American Idol this spring. The band will appear on the show’s All-Star Duet Rounds, where the show’s Top 20 finalists take the stage with world-renowned musicians as they continue their journey in the competition. Airdate to be announced at a later date. “American Idol” premieres on the ABC Television Network on Sunday, March 3 (8:00-10:01 p.m. EST). Additionally, lovelytheband’s hit single “broken” is now certified platinum by the RIAA. 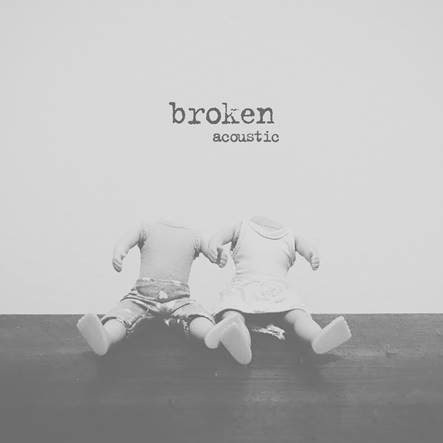 “broken,” the debut hit single from lovelytheband that is off of their debut album finding it hard to smile,reached #1 on the Adult Top 40 radio chart and peaked at #12 on the Top 40 radio chart. The track amassed 2 billion in total in audience at radio. After being the first to break the record in 2018 for the longest running #1 track on Alternative Radio at 6 weeks, the single has been on the Alternative radio charts for over a year and spent 6 months on the Adult Top 40 chart. The song has been in the top 10 for 50 weeks, currently at #8 on the chart. It has over 190 million streams worldwide. The band is up for three nominations at the iHeart Radio Music Awards in the Alternative Rock Song of the Year, Alternative Rock Artist of the Year and Best New Rock/Alternative Rock Artist categories. Their new single “maybe, i’m afraid” impacted at Alternative radio earlier this month and is now #32 on the chart. The track additionally has over 4 million streams worldwide. The band is embarking on their upcoming 26-date headlining ‘finding it hard to smile’ spring tour starting March 26and ending June 21. The tour will hit major cities in the U.S. and Canada such as New York, Los Angeles, Chicago, Toronto and more. During these shows, lovelytheband will perform music off their debut album, including their hit singles “broken,” “these are my friends” and “maybe, i’m afraid.” The tour will include opening performances from Flora Cash and Jagwar Twin. Tickets are on sale now here. Prior to their headlining tour, the band will be heading to Europe starting February 20 for a 15-date tour opening for pop band LANY. The band performed “broken” on Live with Kelly and Ryan and performed the hit single as well as their new track “maybe, i’m afraid” in Times Square on New Year’s Eve, which aired on FOX and Time Square’s live stream to an audience of over 2 million people. “broken” was described simply as “So. Damn. Good.” by Buzzfeed and “infectious” by Billboard. Their single “these are my friends” has over 14 million streams worldwide and peaked at #9 on Alternative Radio. The band was named one of Billboard‘s “10 Rock & Alternative Artists to Watch in 2018” and Forbes stated that the band is taking back rock alongside Imagine Dragons. They dominated the tour and festival scene last year with tours with AWOLNATION and VanceJoy, a European tour with 5 Seconds of Summer and festival performances at Lollapalooza, Billboard Hot 100, Life Is Beautiful and more. The band is also set to take over the festival world this spring and summer with performances confirmed so far at Hangout Festival, BottleRock Napa Valley, Firefly Music Festival and BunburyFestival. 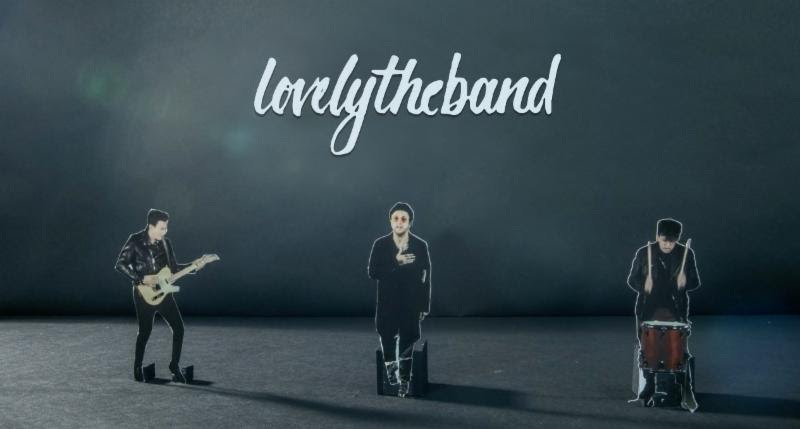 Alt-pop band lovelytheband releases today a visual for their new single “maybe, i’m afraid” via RED MUSIC. The Seenfilm creative visual is completely made out of paper cutouts for a unique visual experience. Click here to watch. “maybe, i’m afraid,” which appears on the band’s debut album finding it hard to smile, impacted at Alternative radio earlier this month and has already charted at #40 in under two weeks. The track additionally has over 3 million streams worldwide. The band is embarking on their upcoming 26-date headlining ‘finding it hard to smile spring tour starting March 26 and ending June 21. The tour will hit major cities in the U.S. and Canada such as New York, Los Angeles, Chicago, Toronto and more. 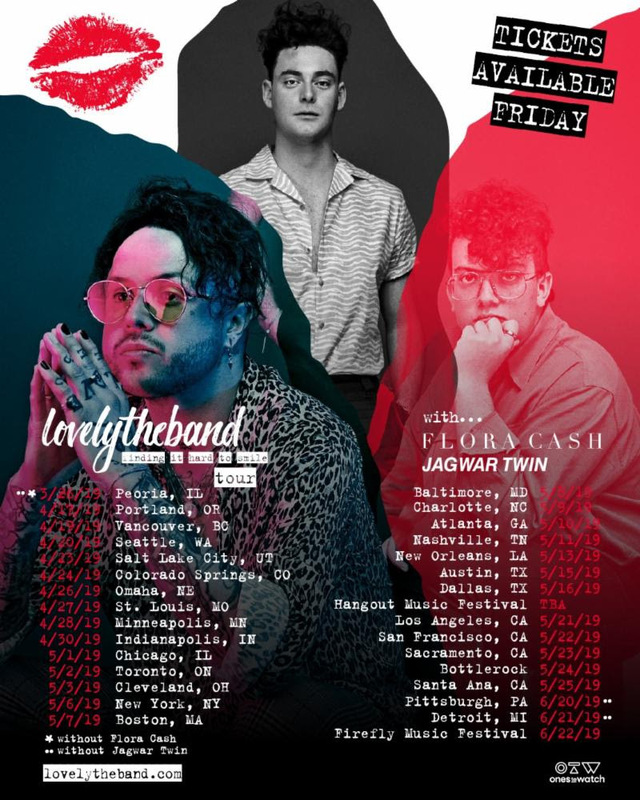 During these shows, lovelytheband will perform music off their debut album, including their hit singles “broken,” “these are my friends” and “maybe, i’m afraid.” The tour will include opening performances from Flora Cash and Jagwar Twin. Tickets are on sale now here. The band skyrocketed in 2018, soaring to new levels as a brand new group. “broken,” the debut hit single from lovelytheband, reached #1 on the Adult Top 40 radio chart and is currently still on the chart at #10 and reached #12 on the Top 40 Radio chart. The track amassed 1.9 billion in total in audience at radio. After being the first to break the record in 2018 for the longest running #1 track on Alternative Radio at 6 weeks, the single has been on the Alternative radio charts for over a year, and has spent 6 months on the Adult Top 40 chart. The song has been in the top 10 for 49 weeks, currently at #9 on the chart. It has over 185 million streams worldwide. The band is starting 2019 with a kicking force, with three iHeart Radio Music Awards nominations in the Alternative Rock Song of the Year, Alternative Rock Artist of the Year and Best New Rock/Alternative Rock Artist categories. The band performed “broken” on Live with Kelly and Ryan and performed the hit single as well as their new track “maybe, i’m afraid” in Times Square on New Year’s Eve, which aired on FOX and Time Square’s live stream to an audience of over 2 million people. “broken” was described simply as “So. Damn. Good.” by Buzzfeed and “infectious” by Billboard. Their single “these are my friends” has over 14 million streams worldwide and peaked at #9 on Alternative Radio. The band was named one of Billboard‘s “10 Rock & Alternative Artists to Watch in 2018” and Forbes stated that the band is taking back rock alongside Imagine Dragons. They dominated the tour and festival scene last year with tours with AWOLNATION and VanceJoy, a European tour with 5 Seconds of Summer and festival performances at Lollapalooza, Billboard Hot 100, Life Is Beautiful and more. The band is also set to take over the festival world this spring and summer with performances confirmed so far at Hangout Festival, BottleRock Napa Valley and Firefly Music Festival. Stay tuned for more updates. 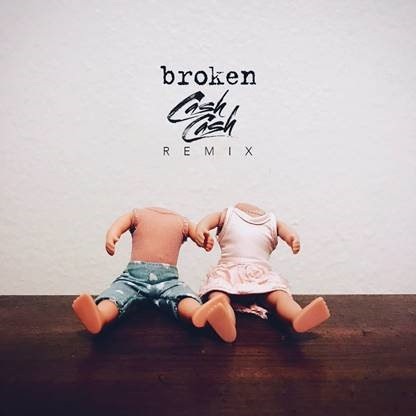 Alt-pop band lovelytheband releases the CashCash remix of “broken” today via RED MUSIC. The track premiered yesterday on EDM.com, with the outlet stating, “From beginning to end, the ‘broken’ makeover is nothing short of lovely. Keeping the essence of the original with its telltale guitar riff, heavy use of one strum electric guitar chords, and the lyrics in their entirety, EDM trio put their signature spin on it with a combination of big room buildups and trap drop.” Click here to listen. 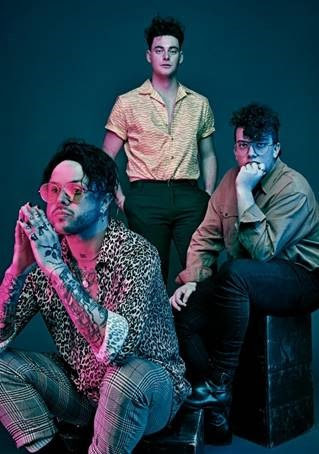 “broken,” the debut hit single from RED MUSIC’s alt-pop band lovelytheband,reached #1 on the Adult Top 40 radio chart and is currently #12 on the Top 40 Radio chart. The track, which is the first single off the band’s debut album finding it hard to smile, currently has over 90 million weekly and 1.5 billion in total in audience at radio. After being the first to break the record this year for the longest running #1 track on Alternative Radio at 6 weeks, the single has been on the Alternative radio charts for a year, and has spent 6 months on the Adult Top 40 chart. The song has been in the top 10 for 54 weeks, currently at #7 on the chart. It has over 148 million streams worldwide. The band recently performed the hit single on Live with Kelly and Ryan.“broken” was described simply as “So. Damn. Good.” by Buzzfeed and “infectious” by Billboard. Their newest single “these are my friends,” has over 10 million streams worldwide and is #9 on Alternative radio. The band was named one of Billboard‘s “10 Rock & Alternative Artists to Watch in 2018” and Forbes stated that the band is taking back rock alongside Imagine Dragons. The band will perform both their hit singles “broken” and “these are my friends” as well as their new song “maybe, i’m afraid” at Times Square New Year’s Eve that will air live, commercial-free on their webcast and TV pool feed. Alt-pop band lovelytheband releases the acoustic version of their hit single “broken” today via RED MUSIC. Click here to listen. The band’s single “broken,” which has over 124 million streams worldwide and is certified gold by the RIAA, is currently #1 on the Adult Top 40 radio chart, is at #17 at AC, #16 at Top 40 radio and has over 80 million weekly and 1.24 billion in total in audience at radio. The song is also still in the top 10 at Alternative radio at #9, and has been in the top 10 for 38 weeks. After being the first to break the record this year for the longest running #1 track on Alternative Radio at 6 weeks, the single has been on the Alternative radio charts for a year, and has spent 6 months on the Adult Top 40 chart. The band recently performed the hit single on Live with Kelly and Ryan.“broken” was described simply as “So. Damn. Good.” by Buzzfeed and “infectious” by Billboard. The band will be releasing an acoustic version of the track this Friday, November 16th. Their newest single “these are my friends,” has over 10 million streams worldwide and is #13 on Alternative radio. The band, who was named one of Billboard‘s “10 Rock & Alternative Artists to Watch in 2018,” recently wrapped up their tours with Vance Joy and AWOLNATION as well as their headlining fall ‘broken like me‘ tour and performed at Lollapalooza, Billboard’s Hot 100 Festival and Austin City Limits. The band is currently in Europe for a 17-date tour supporting 5 Seconds of Summer. The band has new merchandise and is available here and at their various tour dates.